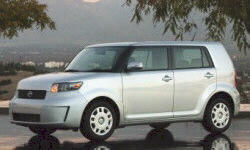 Scion xB Reliability & Durability Pros and Cons | Page 1 of 2 | Why Not This Car? best thing- the 2015 XB is radted one of the most reliable cars for that model year. Never had a major repair in the over 7 years we&#039;ve owned this car (bought it new). Only had to replace the windshield twice when rocks hit it on the freeway. And that has proven out over the first 15 months of ownership. With over 126k on the odometer, reliability has been quite good. Aside from maintenance items, a water pump at 114k has been the only repair. Bought new, this car was absolutely bullet-proof. No repairs in 82M, one battery and one set of tires. Repairs are easy, and mostly cheap. Only once has the car needed unexpected repairs in 100,000 service miles. The 2.4L engine has been built for a long time, and I expect a good long life from this vehicle. Made by Toyota, who basically wrote the book on reliability. Never had a problem with the vehicle. It has had no mechanical problems at all, even though its mileage is only at around 12,000 miles. Aside from regular maintenance items (few though they are), I never put any time or money into fixing this car. Great experience with Toyota in the past, and great reviews. It is still fairly new (2006.5) but there are none of the annoying little problems many other new cars get. 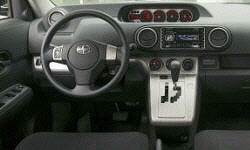 Just the basic facts that it is made by Toyota Motor Company. This car will last a long time.